From the fields of Central California to the back roads of Virginia, American Tank Company products are making it easier for people like you to haul the liquids they need. In the back of pickup trucks and in tow, sturdy linear and crosslink polyethylene tanks are moving potable water, wastewater, pesticides, chemicals and more. Available in a variety of shapes and sizes – including rectangular, elliptical and horizontal – American Tank Company offers drainable, collapsible and saddle-supported versions. Lightweight enough to allow for easy handling, yet rugged enough to withstand years of use, American Tank Company’s transport tanks have been the choice of discerning professionals like you for over two decades. Call us today to get you – and your liquids –on the road and moving. Call toll free today: 1-877-655-1100 to speak to one of our friendly and knowledgeable Portable Tank Specialists. 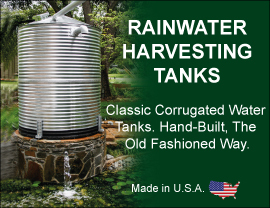 American Tank company offers high quality portable water tanks, portable water tank systems, and portable tanks for numerous applications. Call us today to speak to one of our specialists to see what type of portable tank is right for your needs.